On June 6, D-Day, Beyrle’s military transport aircraft came under enemy fire over the Normandy coast, and he was forced to jump from the exceedingly low altitude of 120 meters. After landing in Saint-Côme-du-Mont, Sergeant Beyrle lost contact with his fellow paratroopers, but succeeded in blowing up a power station. He performed other sabotage missions before being captured by German soldiers a few days later. Over the next seven months, Beyrle was held in seven different German prisons. He escaped twice, only to be recaptured each time. 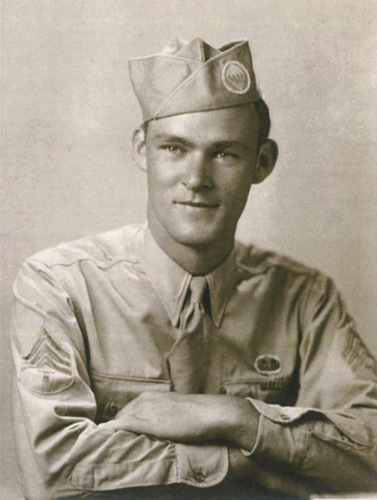 Beyrle was taken to a POW camp in Alt Drewitz, from which he escaped in early January 1945. He headed east, hoping to meet up with the Soviet army. Encountering a Soviet tank brigade in the middle of January, he raised his hands, holding a pack of Lucky Strike cigarettes, and shouted in Russian, ‘Amerikansky tovarishch! (“American comrade!”). Beyrle was eventually able to persuade the battalion’s commander (who, incidentally, was the legendary Alexandra Samusenko, allegedly the only female tank officer of that rank in the WWII) to allow him to fight alongside the unit on its way to Berlin, thus beginning his month-long stint in a Soviet tank battalion, where his demolitions expertise was appreciated. Seven months later, at the third attempt, he managed to make a successful escape, and then he got to the First Belorussian Front and joined a Soviet tank battalion. At the end of January as part of the battalion he liberated the concentration camp from which he had escaped earlier. In February, Beyrle was seriously wounded and was taken to the hospital, where American paratrooper was visited by Marshal Zhukov. When Beyrle got to the US Embassy in Moscow, he found out that he was listed as killed-in-action since June 1944. 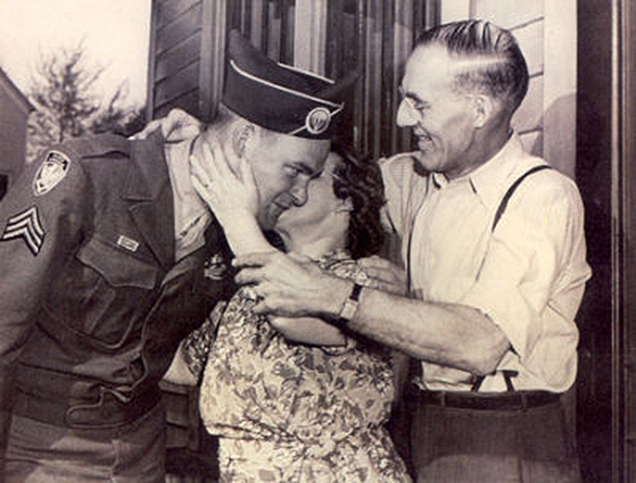 On April 21, 1945, Joseph returned to his native Michigan, and a year later celebrated the wedding. Coincidentally, he was married in the same church and by the same priest who held his funeral mass two years earlier. Do u like bananas? Sweet Bananas?